I wish all my readers a wonderful Weekend. 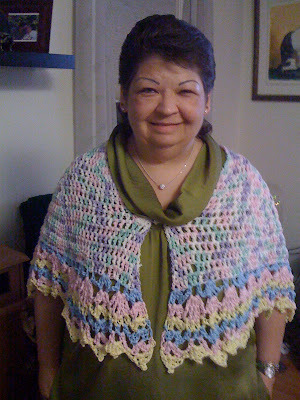 I will be at Stitches West 2010 on Sunday. YAY!!! Sooo pretty. Love it. The trim looks like a lot of work. The colors go together so well. You look good wearing it. I just love this shawl. you did a great job on it and I too love the colors. Would love one in black; but probably would want to use a smaller hook. Can you share the pattern? Have fun and do tell on your return. inviting all my friends from Sandy's Space to come visiting me on Traveling Suitcase, help me celebrate and enter the contest. I remember seeing this pattern on Ravelry, and made a copy of it. Have not tried it yet. Seeing yours makes me want to try one!! Great job, very beautiful (and you are too!). I'm starting worry about your sister since she hasn't posted or replied to my comment. Just wondering if all is okay with her and the rest of the family. Miss her and you too! You haven't posted either in a while. Love the All Shawl. I have made several of them. 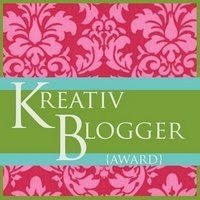 Please stop by my blog and leave a comment that all is well so I'll quit worrying. I can't believe your Luna! My dog would never wear an outfit, even one as beautiful as the one your sister made. I am amazed. She must be a wonderfully well-behaved doggy. Scarlet, This is Deb from Deb's Crafts. I can use just about any color 6" or twelve inch squares for my charity projects. My email is debsstuff55 (at) yahoo (dot) com. You can contacty me through that. Hope your feeling better soon. 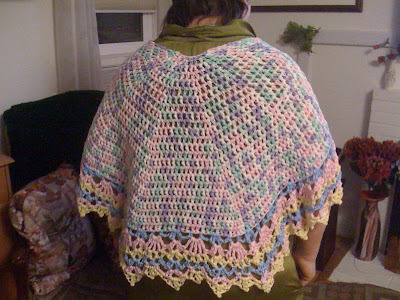 By the way, that is a beautiful shawl! Been missing you, Scarlet. Sorry to hear you had surgery. Hope your recovery is swift and complete. I continue to pop in to check on you on a very regular basis; I think of you often and hope you're doing better. Everytime I visit I hope to see you've made a new post. 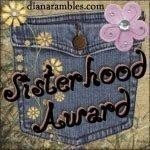 Visiting all Bridge Members this am to remind everyone about the blog contest and FREE yarn giveaway. 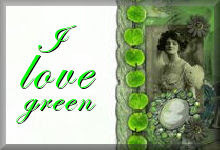 Also sending out a cordial invite to visit my Travel Blog. Looking forward to your visits, have a great wkend. Stopping in again to let you know I'm still thinking about you, but have a feeling you're deleting all my comments? I know I've left you one every couple of weeks or so. Me yet again, wanting you to know you are thought off. If you ever come back to blogging....please sing out. I miss being connected. sis your readers want to hear from you. And I want to say I love you and hope that will soon be back on your feet and posting again to appease all of us. Get well sissy! I love and miss you all over the place.